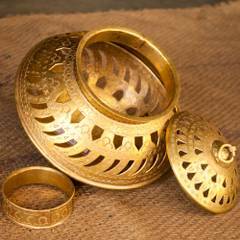 Metals like iron, copper and brass have been an integral part of human life since time immemorial. 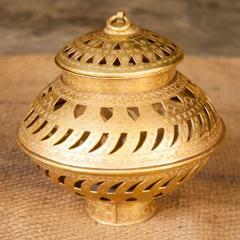 Brass wares have traditionally been embellishing the kitchens and palaces of Rajas and Maharajas. Muddarda, a remote village in the district of Mehsana in Gujarat welcomes you with the rhythmic sound of chisel hitting the brass! 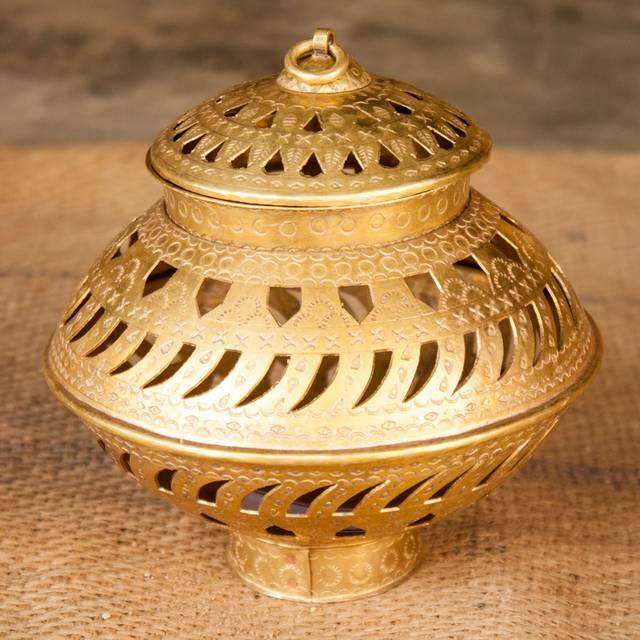 Shri Babubhai Hargovinddas Luharia, an award winning artisan and his family have been carving magic out of brass for generations. Their skill and precision have embellished innumerable homes and kitchens. These artisans buy brass sheets from the nearby city of Ahmedabad and cut them into required sizes. Then the artist makes designs with a pencil on these brass sheets. These sheets are then etched and punched to make beautiful and exquisite designs. 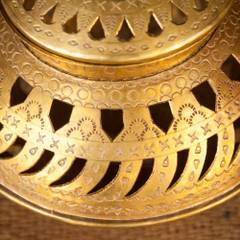 Brass ware are characterized by their traditional style and regal dynamism. Unfortunately, off late, this art has been confined to the walls of museums. However, artisans like Babubhai have understood the modern needs and have given contemporary look and feel to the brass wares and have succeeded to get into the modern homes!